Over the weekend Boko Haram launched another deadly and fatal attack on Kano central mosque which claimed two hundred lives according to reports. Before the dust from this attack settled, news came in about another attack in Borno state and one begins to wonder if we have a government at all. 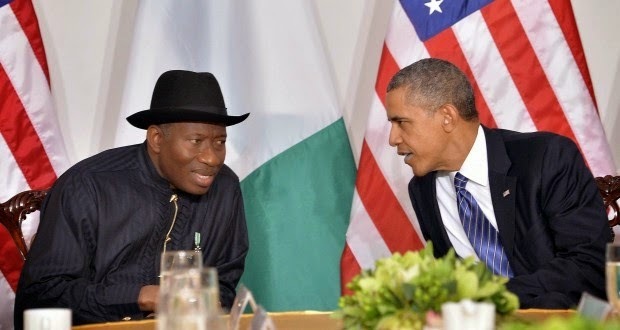 Not too long ago, the United States government stated it's foreign policy thrust not to supply Nigeria it's weapons. The current situation clearly shows that Nigeria is in desperate need of military hardware to combat the Boko Haram insurgency,a notion known to even the US. The US' reason for it's refusal to supply Nigeria weapons is because of what it terms "gross human rights abuses by the Nigerian military". This is nothing but a plausible excuse and a mumbo jumbo in it's entirety! This is a country that predicted Nigeria's disintegration not too long ago! Despite this ‎setback, the imperative question is, what is Nigeria's response to overcome this quagmire? One clear thing is that the US isn't the only country on earth that has weapons to sell. Russia, China and other superpowers have military hardware they are willing to sell. Have we maintained enough diplomatic relations with them to facilitate smooth trade? We need to reassess our foreign relations with the US and other nations to see if they are in line with our national interest. Can we boldly say a nation that denies us the weapons we desperately need to fight an internal terrorist menace - which also has global dimensions and affiliations and can spill over to other nations- is our friend? It is imperative we also make the US know about our indignation and dissatisfaction - in actions and not just words - with it's refusal to sell to us what we desperately nee‎d. There are precedents that have shown third world countries standing up to a super power diplomatically when their national interests are threatened by such superpowers, so our case isn't a novelty. Cuba and Iraq are examples. We can refuse to supply them our oil which they need too. During the gay rights standoff, Nigeria went ahead to pass the law against gay marriage despite US and Co's threat to withdraw foreign aid if we did so. US has AFRICOMM and some other anti-terrorist establishments here in Africa which we are stakeholders to. We can declare our refusal to co-operate with them or even walk away from them. ‎ We are a regional and continental stakeholder ( key and important stakeholder we are) in Africa and our actions or in-actions can greatly affect their interests globally. It's time we took a stand as a nation.